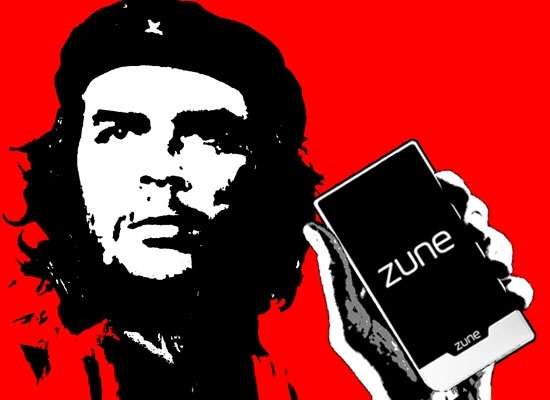 Is Zune HD the Beginning of A Microsoft Revolution? "Let's peer ahead one year, where we'll see how the release of Zune HD represents a shift (*ahem*) in Microsoft's strategy, a convergence of media everywhere, using multiple screens for the same content. You buy (or steal) those movies, TV shows or songs once, and then you can watch them anywhere. Imagine this: You carry around a slim, tiny phone, and when you get home you plug it into a dock that charges it. Meanwhile you instantly have access to its content — movies, songs, pictures — on any PC on your network, your Xbox 360, or any TV in your house. That video you started watching on the train? You can finish watching it in your home theater in HD, even 1080p on your Xbox 360." I'll believe it when I see it. The pieces have been in place for years, and only now are we starting to see a real convergence in device strategy between the individual Microsoft departments. DVICE makes a good point about the usefulness of a subscription service tying the individual pices together, and the Zune branding of Xbox Live video marketplace was definitely a good first step. It remains to be seen, however, if new Xbox, Zune, and Media Center developments (not to mention those in Windows Mobile and Windows 7, plus Pink, Turtle, and Courier) will help sort out these integration deficiencies, or the groups will continue to live isolated as they have the last few years. I'm really hoping I'm proven wrong.